Since 1988, chlordane use has been restricted to ant control in power transformers. Chlordane is an insecticide that can be used to control a wide range of insects. 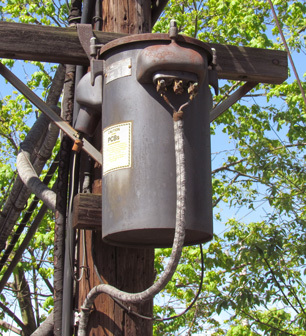 It has been on the market since the 1940's, although its use is now restricted in the United States to fire ant control in power transformers (and no current products are registered for this use). Chlordane moves about poorly in the environment, and is generally not expected to be found in water, but it can persist for years and bioaccumulate in exposed animals. Although it has no current use in the United States, it is still manufactured for use in other countries and can potentially arrive in drinking-water through industrial waste. Some people who drink water containing chlordane well in excess of the maximum contaminant level (MCL) [0.002 milligrams per Liter] for many years could experience liver or nervous system problems; increased risk of cancer. Although chlordane is a known animal carcinogen, a recent study by the International Agency for Research on Cancer concluded that there remains insufficient evidence as to its carcinogenicity in humans. The EPA recommends granular activated carbon (GAC) for the treatment of chlordane.